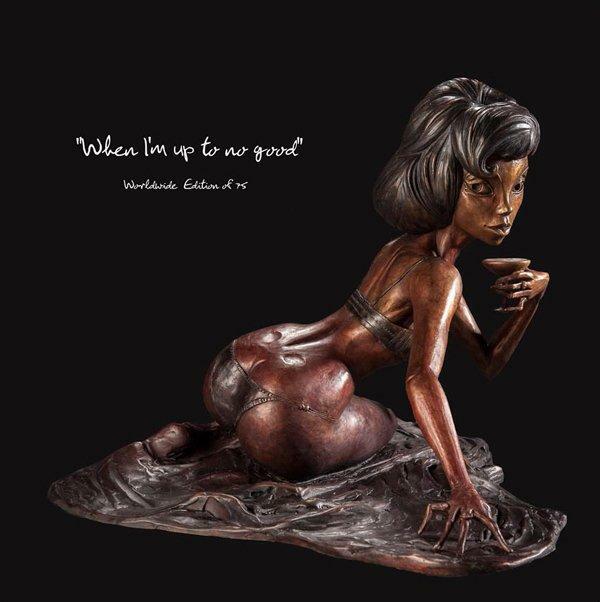 When I'm up to no Good - bronze by Todd White // £9,950.00. In this cheeky new bronze by Todd White, the lady is in her bikini, enjoying a cheeky cocktail and leaving not much to the imagination in terms of the shape of her derriere! A beautifully crafted bronze sculpture with an almost chocolate like finish to it, making it even more naughty and tempting. A typically risqué Todd White artwork only this time in sculpture.